One of the yachts I manage on a monthly basis is a 70 Hatteras cockpit motor yacht. When the owners arrive, I work to teach them maneuvering, line handling, preventative maintenance procedures, et al with the ultimate goal of getting them insurance qualified to operate the vessel themselves. Before they arrive on their jet, I will prepare a little something for them to nosh on after their flight. 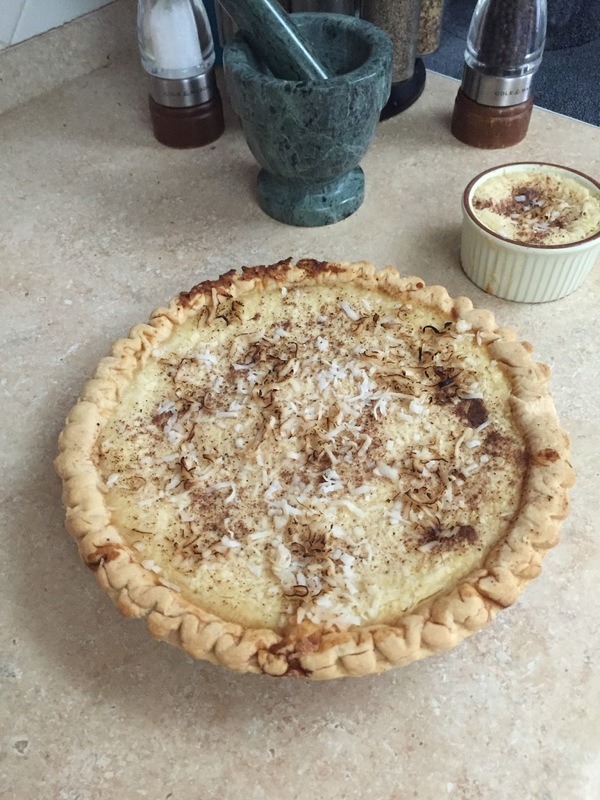 Last month, they came for Christmas and I prepared for them a delicious coconut custard pie. The husband told me that he actually doesn’t like custard, but this recipe is an exception to his tastes. An additional pie was requested when guests flew in for a visit. Success is best served sweet!! First off, this recipe is for making TWO pies. The second pie always makes a wonderful gift for the yacht next door (that is if you can keep your crew’s hands off of it! ).